Education in Visual Arts is one of the major initiatives of the World School of Design along with Architecture and Design. 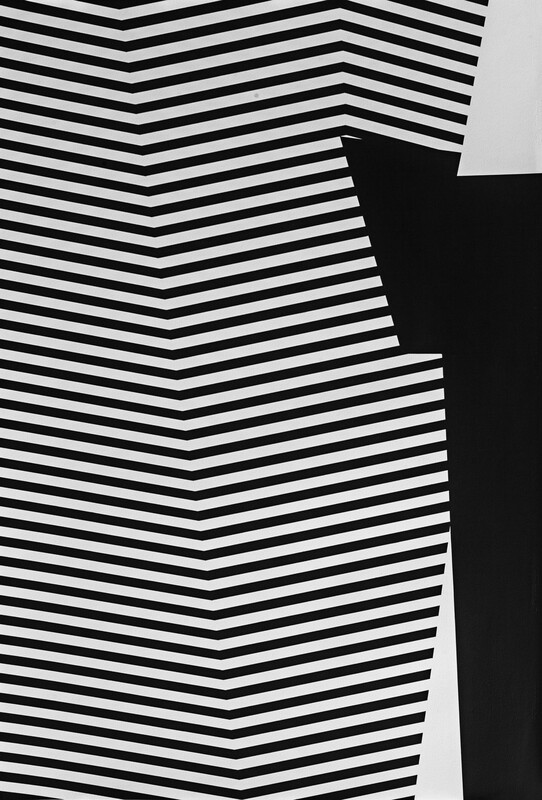 We have already announced four new post-graduate courses in Contemporary Art Practice, Art & Design History, Curatorial Practices in Arts, Fashion Art and graduate courses in Creative Painting and Photography from the academic year 2017. As a prelude to this we are setting up an art gallery of Contemporary Art in the School of Visual Arts. 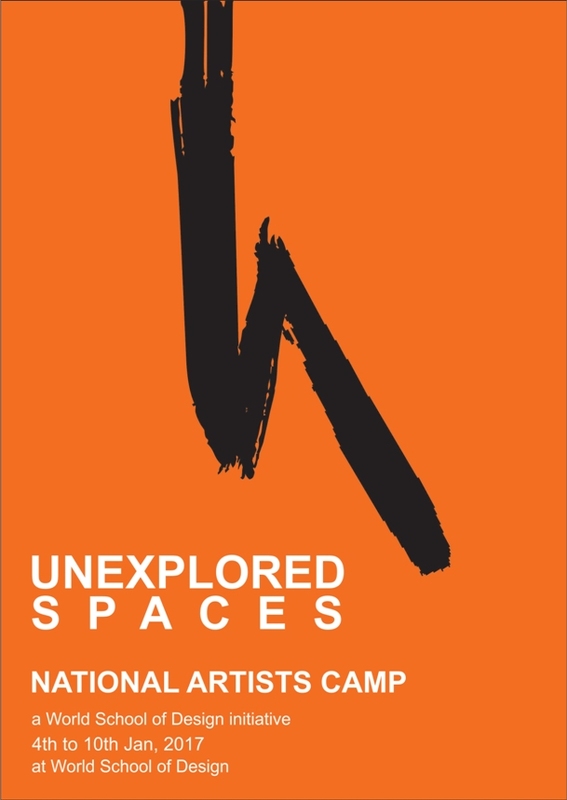 The “Unexplored Spaces” is a curatorial art camp project of the World School of Design in which young and established artists belonging to various parts of the country who are settled in Delhi will be coming together for the exchange of ideas and creative expressions. This National art Camp is curated by Prof. Ajaya Kumar, Dean - School of Visual Arts, World School of Design and Prof. Abhimanue, College of Arts, Delhi. 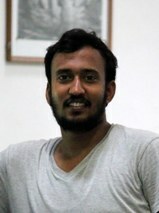 ABHIJIT SAIKIA was born in Guwahati, Assam and graduated with a specialization in painting from Govt. College of Art and Crafts, Guwahati in 20012. 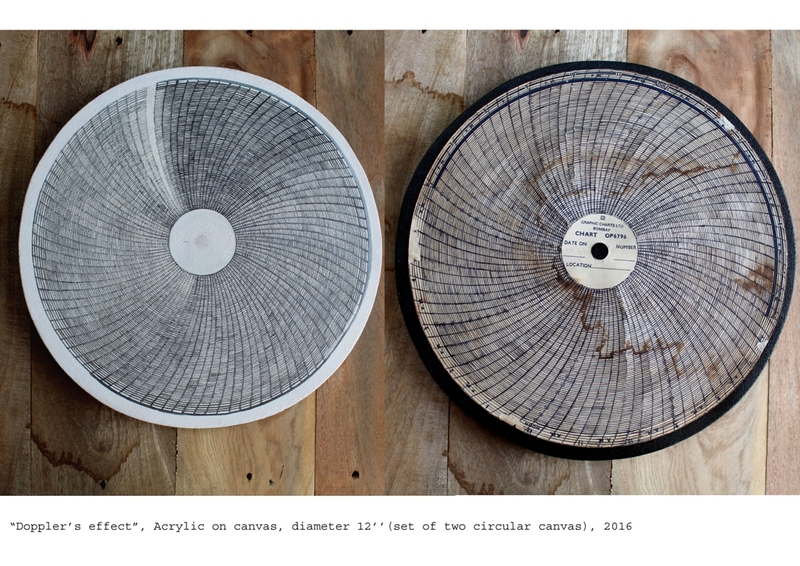 Abhijit had pursued his Post graduation in painting from the College of Art, Delhi. A participant of several shows since his student days, Abhijit’s paintings are about his concerns on human existence within time and space. 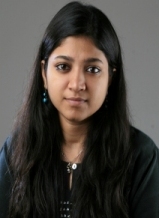 ADITI AGGARWAL was born and brought up in New Delhi. 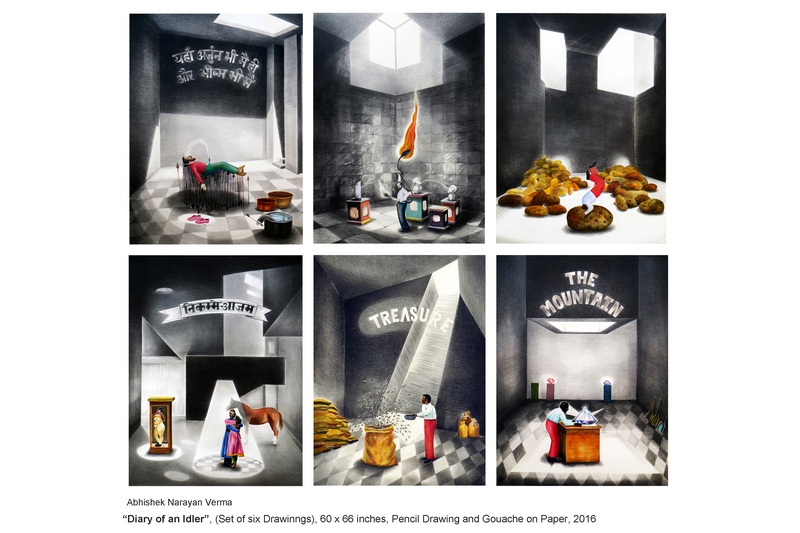 A Post Graduate in painting from the College of Art, Delhi Aditi reinvents the monochromic lucidity of color and superimposes the dexterity of drawing on canvas or paper on which she builds up clusters of images. 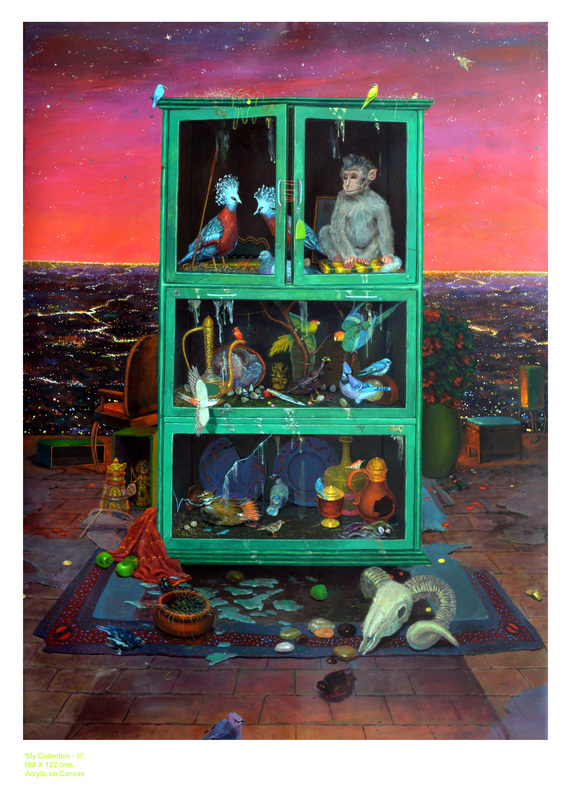 BHUVANESH KUMAR was born in 1986 in Bangalore and had his Graduation in painting from the Kent School of Art, Bangalore. 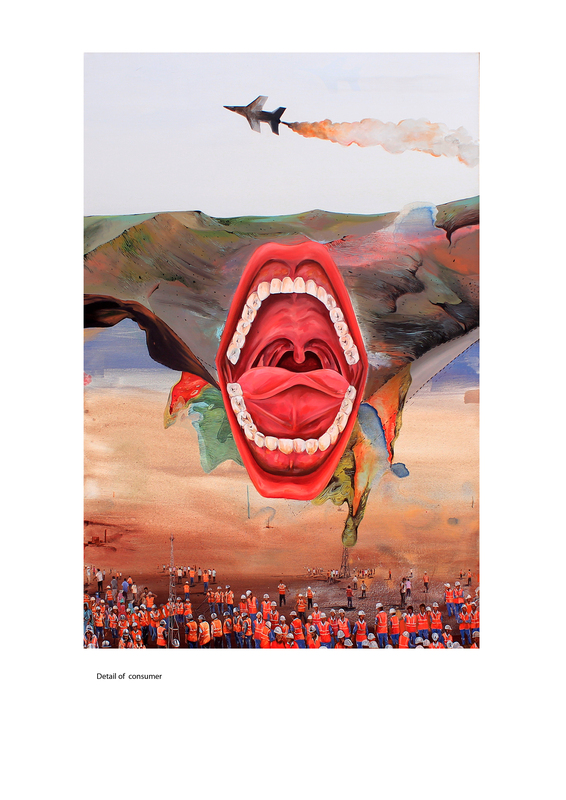 Bhuvanesh had his post Graduation from the College of Art, Delhi. 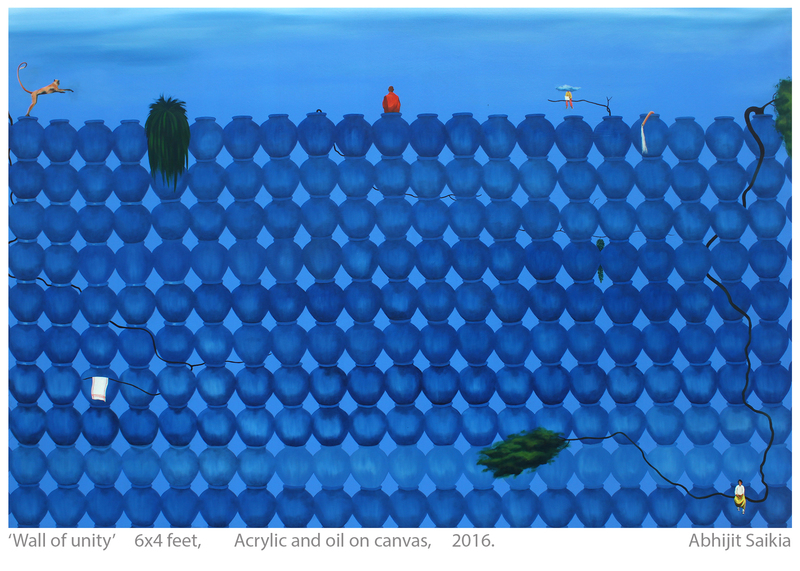 A participant of various exhibitions in the country since 2005, Bhuvanesh Kumar’s paintings evoke the conditions of the alien individual in suspended spaces. 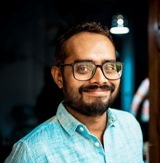 BIRENDER KUMAR YADAV was born in Ballia, Uttar Pradesh and graduated in painting from Banaras Hindu University and Post Graduation from the College of Art, Delhi. 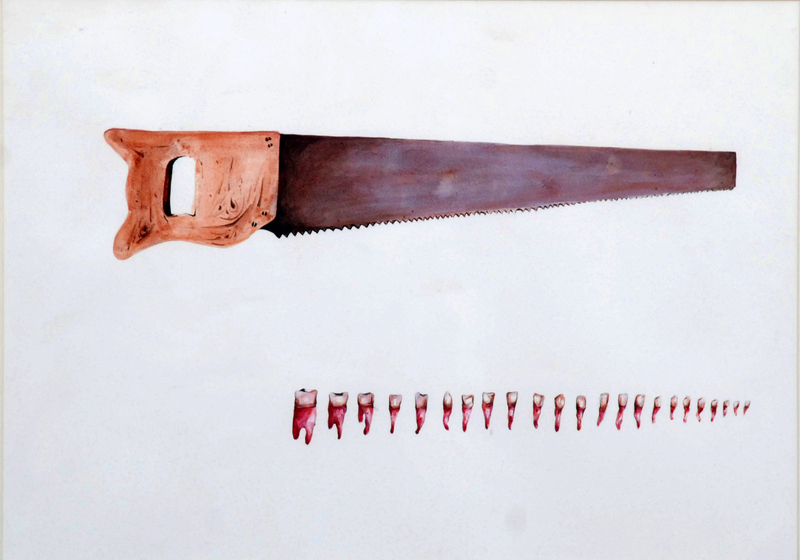 As a painter who engages direct visual statements on social situations, Birender Kumar articulates the images of tools and machineries which are familiar in our environment. CHETNAA was born in 1981 and brought up in Delhi. 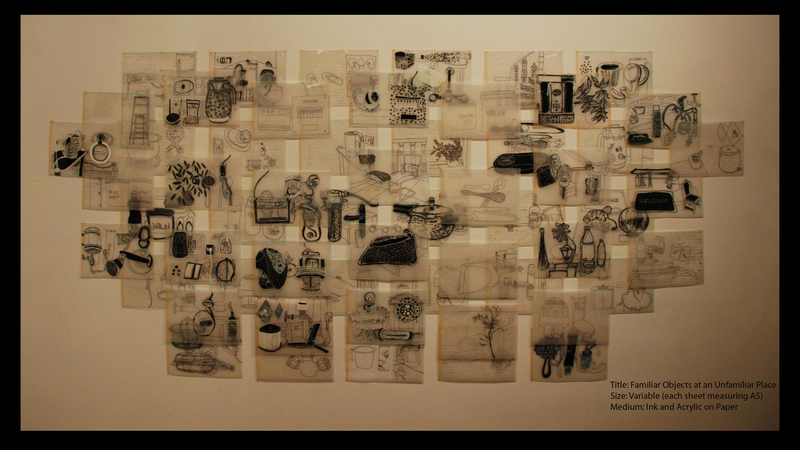 A post Graduate in Painting from the College of Art, Delhi Chetnaa’s recent works are in pen and ink in black and white. 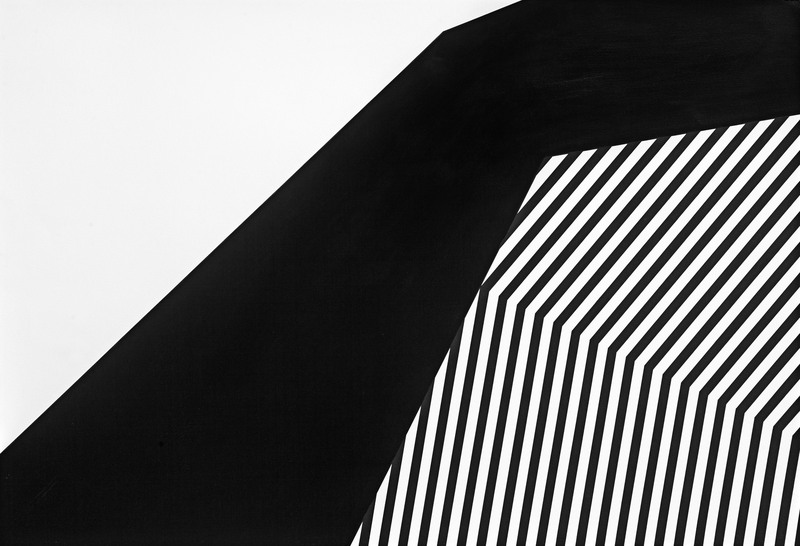 The pre-occupation of an optical vision stretches her towards the forms of pure abstraction. 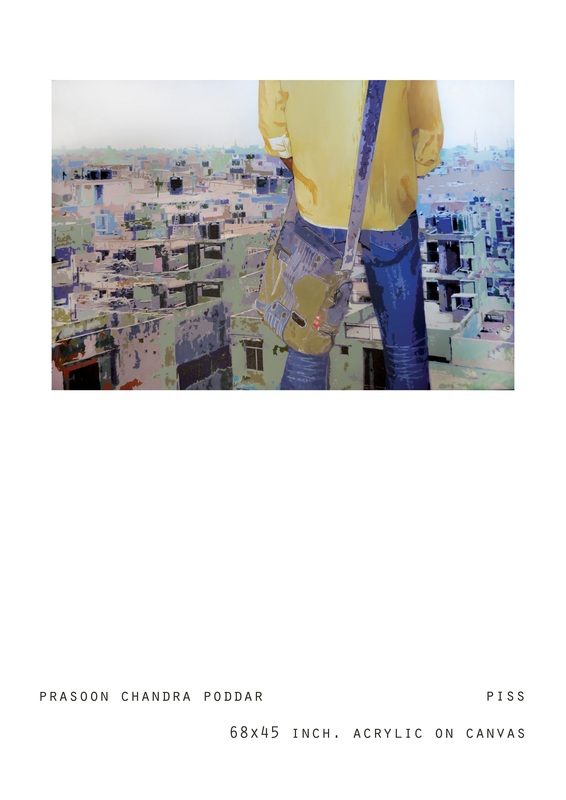 ABHISHEK NARAYAN VERMA was born in Bihar and graduated in Painting from College of Art Delhi. 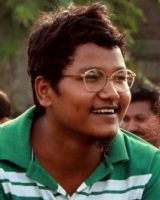 He later had pursued his post graduation in Printmaking from Faculty of Fine Arts, MS University of Baroda. 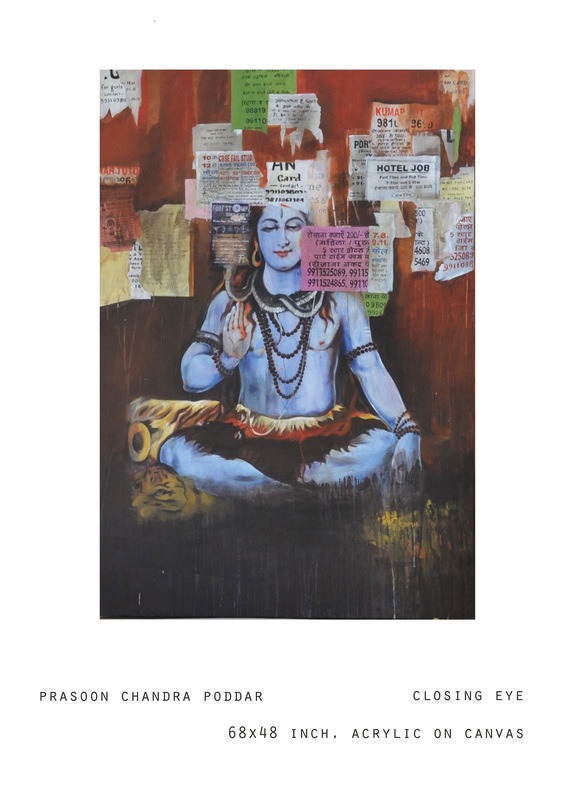 Abhishek works in mix media in which he incorporates images from the popular media and graphics. 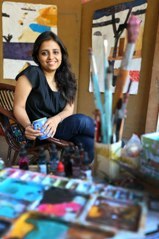 SHIVANI BHALLA is a post graduate in painting from Faculty of Fine Arts, MS University, Baroda. 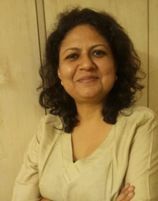 She has been a visiting faculty at the College of Art, Delhi in 2009-10 and Assistant Professor in Painting at Govt. College of Art, Chandigarh from 2011-16. 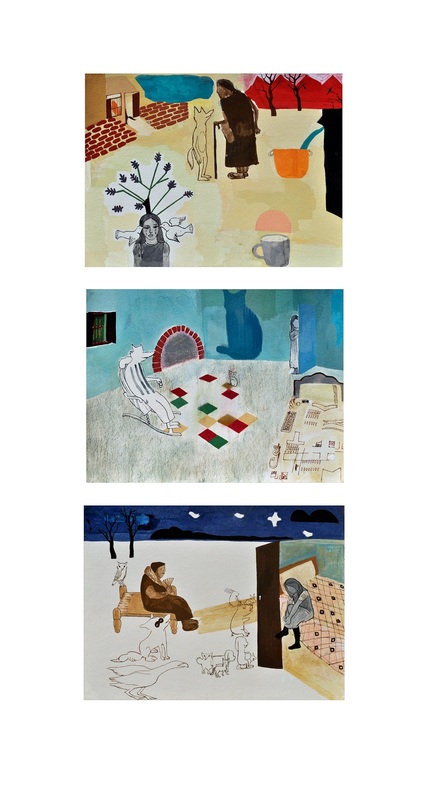 Shivani’s recent works are in acrylics on paper which represent a very simple and naive world with wit and humor. 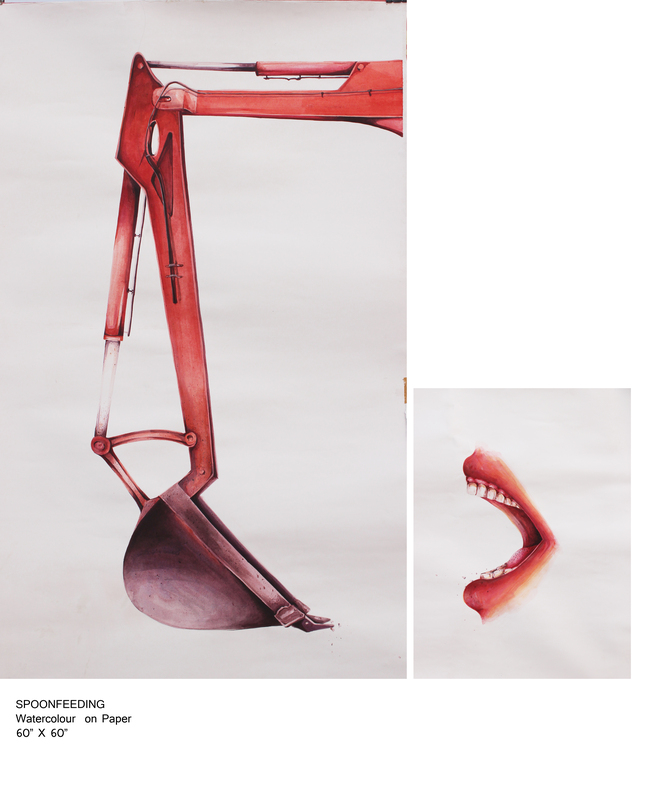 UDAY SINGH is a postgraduate in Painting from the College of Art, Delhi. He lives and works in New Delhi. 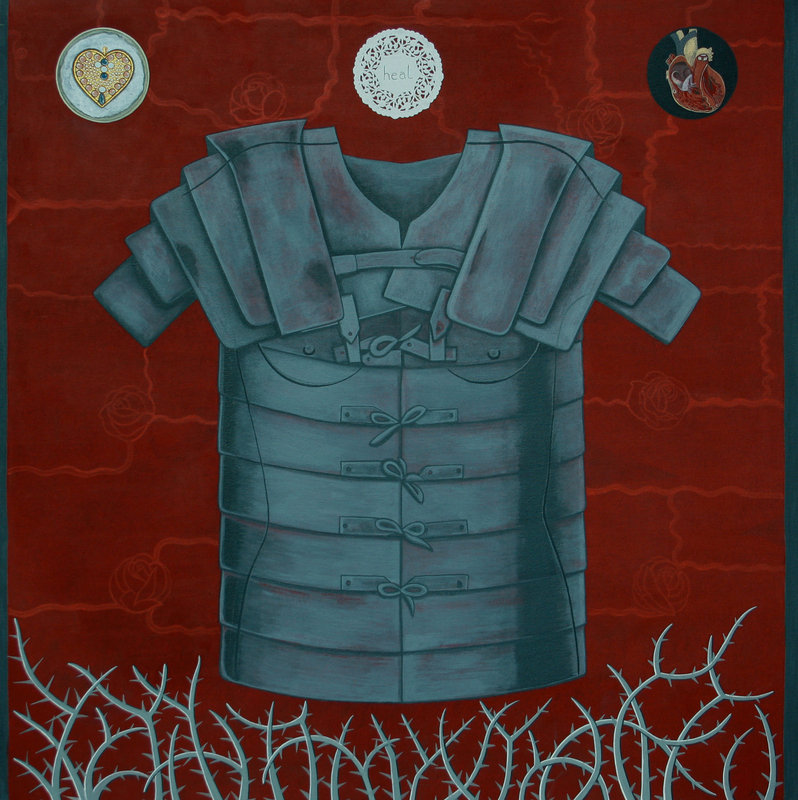 Uday’s recent paintings are about a deteriorated world of vestiges where the images of both human and non-human forms co- exist. 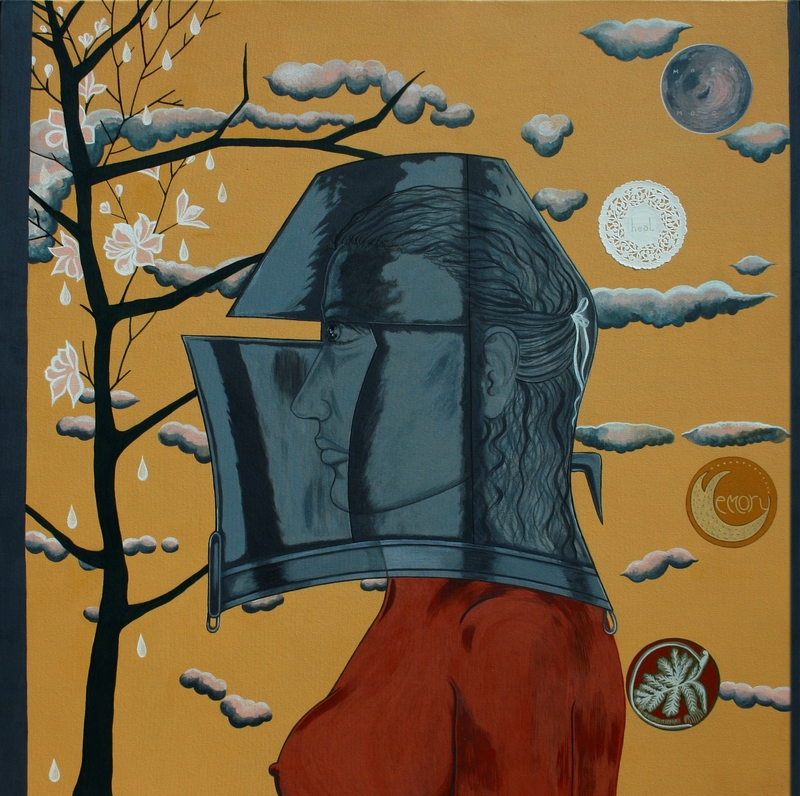 ANNI KUMARI is a post graduate in Painting from the College of Art, Delhi. 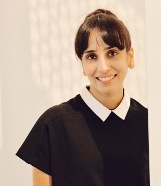 She has the credit of active participation in various national residencies and workshops on art. 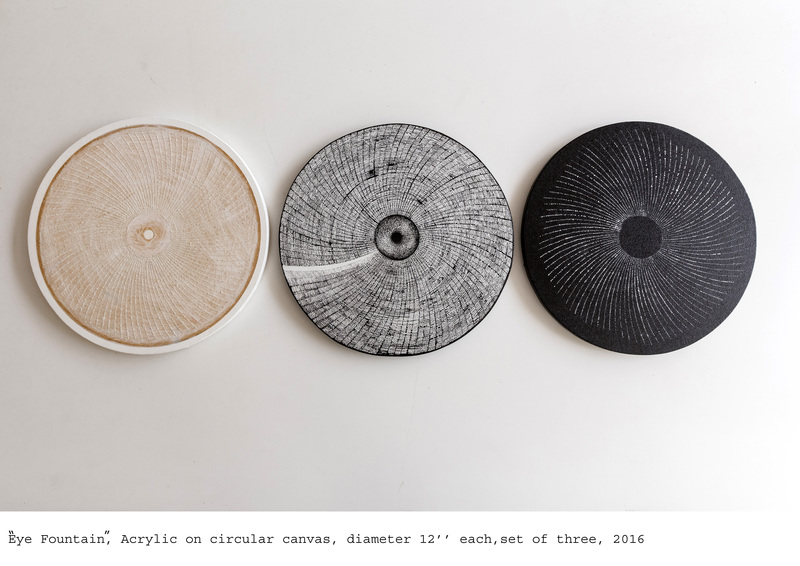 In her recent works Anni kumari creates exceptionally different spaces of optical illusion on round canvases. 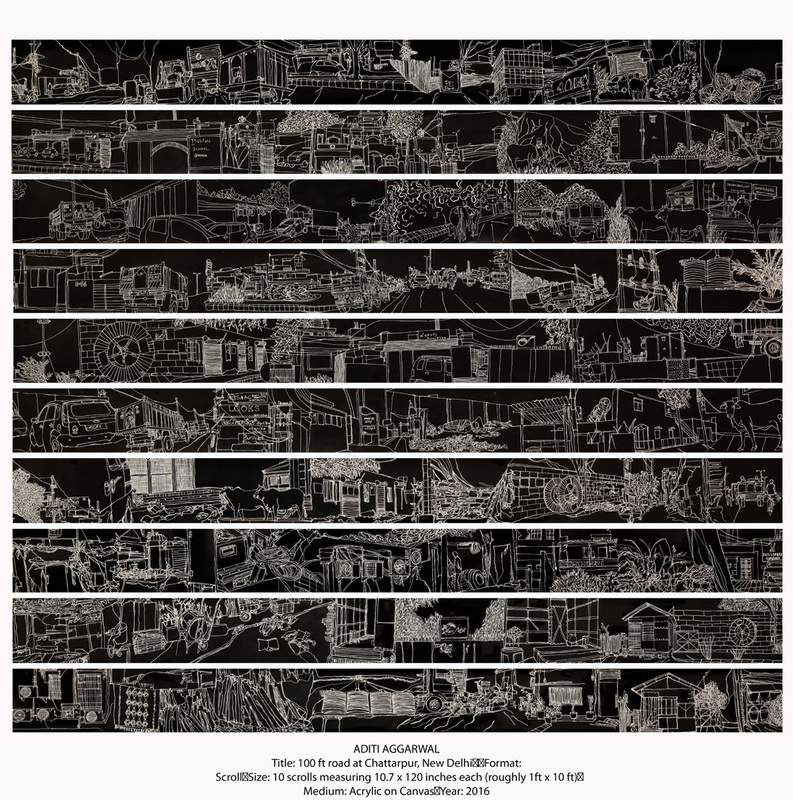 ANJUM CHATURVEDI was born in Barelli, Utter Pradesh and pursued her graduate studies in painting at the Faculty of Fine Arts, MS University, Baroda where she took her post graduation in Graphic Arts in 1990. 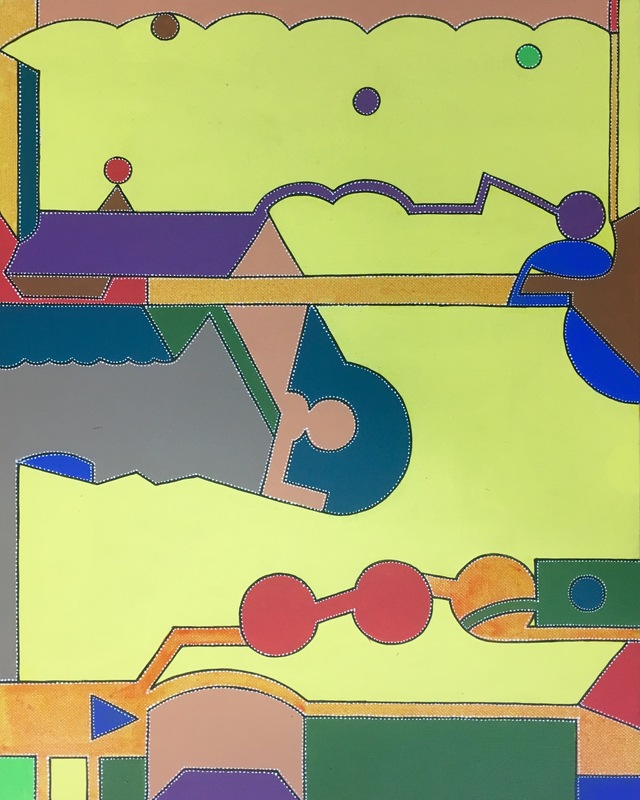 Her recent paintings carry a world of personal narratives in visual simplicity and ornamentation which invites the viewer to walk into multiple spaces. 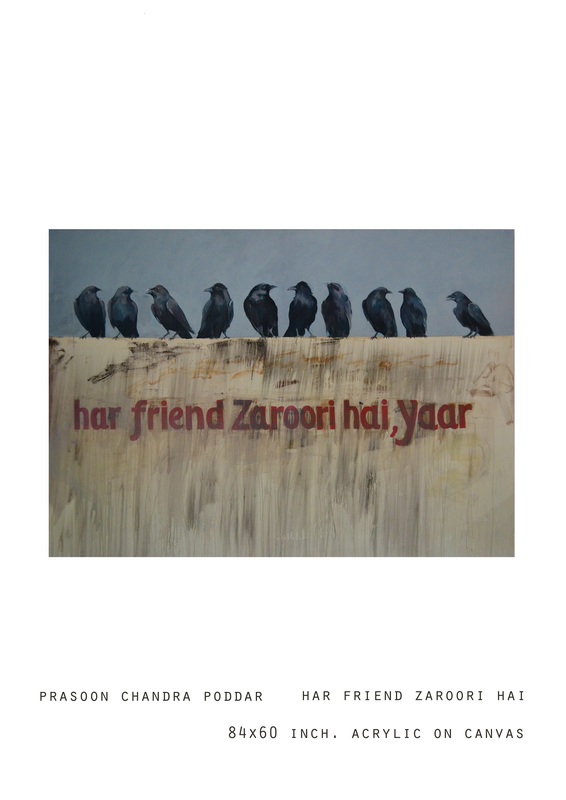 He has a BFA and MFA in Painting from Jamia Milia Islamia. 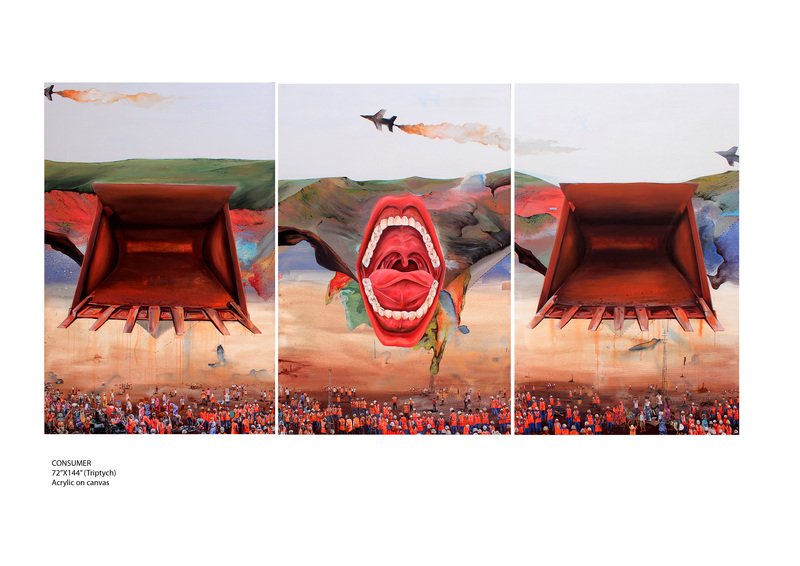 He has participated in various exhibitions and art camps in different cities of India. He has several awards in painting to his credit. He has served as guest faculty at different art institutions and had taught at Design and Innovation Academy, NOIDA for three years. 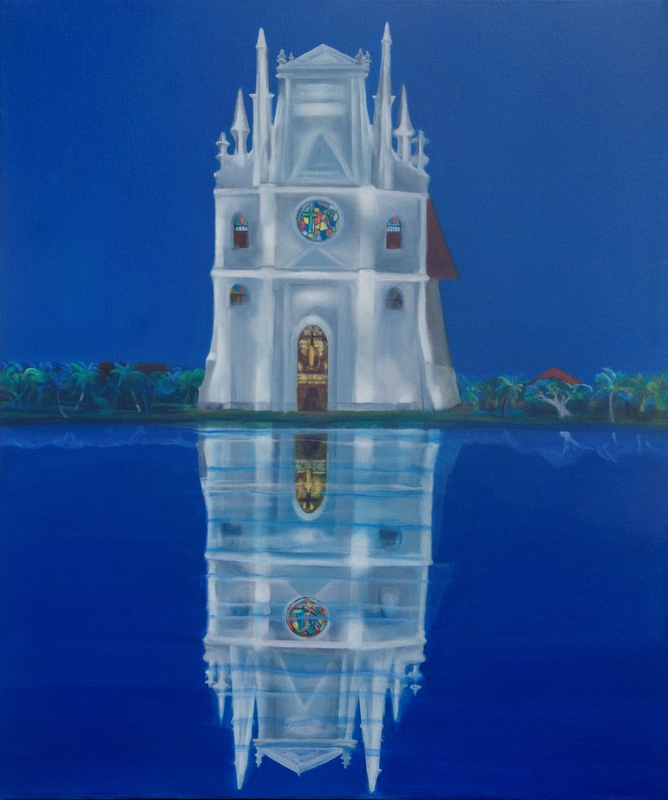 ABHIMANUE VG was born in Trissur, Kerela and graduated in philosophy before he had chosen his studies in Painting.He had his graduation and Post Graduation in Painting from Faculty of Fine arts, MS University, Baroda in the year.1979-1985. 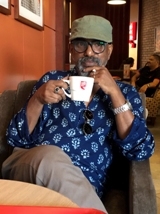 Abhimanue joined the Delhi College of Art in the department of Painting in 1991 and is the Associate Professor heading the Post Graduate section in Painting.His recent works are pure color fields which break into passages of abstract sagas. 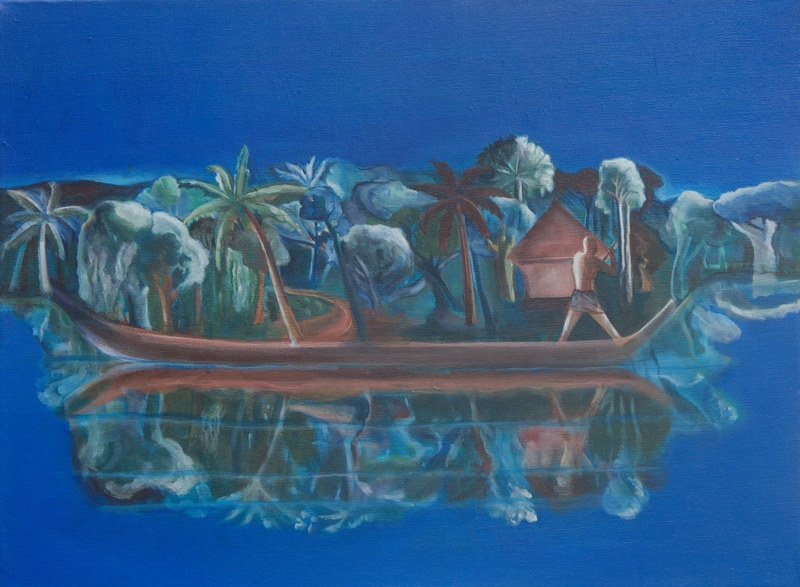 A Post Graduate in Painting from Faculty of Fine Arts, MS University, Baroda, Ajaya Kumar was born in Kollam, Kerala. 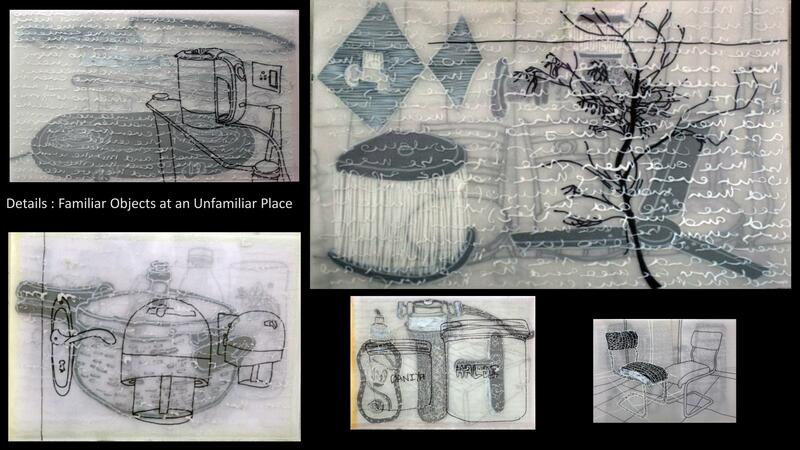 Participated in various exhibitions in the country and abroad, Ajaya Kumar is also a multi-lingual writer. He is presently the Dean, Visual Arts at the World School of Design. The images of his recent paintings combine sequential texts and scribbles which interpret regional and universal histories and narratives.